Greetings brother of the light! 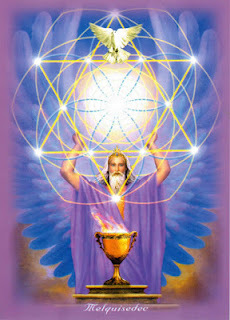 I am Melchizedek, a brother of light who now shows them his feelings from a new perspective. I come to talk about your human emotions on a multidimensional level. Because you are multidimensional beings and so love multidimensionally, but also hate, feel anger, fear, suffer, all from the same relationship, from the same planet or from the same experience. Multidimensionality is part of the human experience. It is at all times with you and permeates your emotions and your feelings, doubling your experiences over time. Otherwise they would explain to me this feeling of loving a planet, looking at its beauty, and at the same time hating, repulsing by what they see in that same environment. It is a dual feeling, of love and hate that blends within and is the fruit of much doubt, embarrassment, guilt, and suffering. But all this, my dear brethren, occurs precisely because you see yourself experiencing a single dimension, when this is not the reality. You have been trained to stop feeling your emotions, the energy that vibrates in your bodies, then you dance between dimensions without even realizing what is happening on the level of consciousness. I say of love that you are able to feel for a brother, in a relationship, for a child, for a parent, and at the same time be able to hate certain attitudes that you see, which leads to anger, to inner pain. This is also being multidimensional, connecting in the same relationship from different levels of vibration. The dimensions are all the time before your eyes, you are multidimensional beings and they live this experience in different vibrational levels throughout their days. We will understand this experience from your own emotions. Consciousness shifts through the multidimensions around you because you have learned that the different dimensions are in the sky and on the earth, near and far from you. But no, my brothers, they occupy the same physical space, the same relation of love and hate. They are capable of loving and hating at the same time, the same brother, the same planet, because that too is multidimensional being. They look at you, from a material perspective, and see only the physical body, but if you close your eyes and silence in this deep silence, you will feel different vibrational levels moving through your bodies, through your minds. So, look at your relationship partner with love, but at the same time with attachment, or with anger for behavior that does not please you. They love, but at the same time expect a retribution for this love, and often, even if certain behaviors are totally contrary to the love they hoped for, such as betrayal, you are able to forgive by love, or even by the attachment you Forgive without ceasing to feel hatred. This is to be multidimensional, because they attend different levels of consciousness in their day and, although they bind themselves for a few moments, to the pure love of their essence, to the truth that they keep in their hearts, they also are linked to the aspects of the Lower Self and both manifest themselves in the same environment, at the same time, at different vibrational levels. But this energetic entanglement, which is to live the planetary experience, manifests itself dually in your consciousness, then you look with love, but also with hatred, with attachment, facing the same fact, because you experience inwardly different vibrational levels. When you attach yourself to 3D feelings, on a level of human personality, from the lower self, you manifest fear, anger, hatred, suffering, attachment. And to all the feelings linked to the ego, the lower self, to what they taught him to be. But at the same time, they feel that relationship on a lower 4D level and then they can feel forgiveness, where love comes to prevail despite the lower feeling of inner pain. But at a higher 4D level, you even feel hatred, attachment, and simply release the experience, feel the love. Already at a lower 5D level, they understand all this within themselves, are aware of the multidimensions they attend in their day. You are multidimensional in your emotions, in your experiences, in your feelings. They are able to love deeply the mother who loved them, nurtured and educated them in childhood, and at the same time keep hatred, heartache or rancor for their attitudes. Everything depends, my brethren, on the vibrational level that your consciousness is bound to, of which reality you attend in vibrational terms. His conscience is linked to love, to hatred, to pain, to forgiveness, to suffering, and all this at the same time, in the face of the same fact. But as multidimensional beings, you also have the ability to choose the level of vibration to which you bond, the level of consciousness that your emotions manifest. This explains, my brethren, why there is a threshold zone on your planet, where light beings, children of the Father, like you, are bound for centuries in deep pain and suffering, creating for themselves a reality of revenge, hatred, of sorrow, and thus compromising their own experiences. They emerged in the pain of the lower 3D level, linked to this pain, and ceased to feel the other vibrational levels that are still present in their hearts. But nevertheless, my brethren, are less divine, less evolved than you, just go through an experience of deep immersion of consciousness. Just as you can see brothers who have spent their lives in illusion, manifesting sexual prejudice, racial, but in a breath of light, in the bed of physical disincarnation, mentally release themselves from the Lower Self, and move their bodies to higher zones vibrationally, like the astral cities of recovery, just because, for brief seconds, they were able to feel the love in their hearts, to have compassion and to manifest the forgiveness. They have linked their consciousness to levels of love, and this, my brothers, makes all the difference in their lives. You can feel hate and love at the same time, but you can forgive through love, and then bond to forgiveness, so that your days become softer. Consciousness transits these different vibrational levels and thus can descend to threshold levels, without losing their light and their love, but keeping their consciousness linked to higher levels, where, although the reality that manifests itself is sad, you remain in the Love because they already understand the experiences. You are multidimensional beings and you can understand this from your own emotions, from your feelings, where, in duality, you manifest feelings so conflicting with the same relationship, you love and hate, you feel anger but forgive, for you move multidimensionally within the same relationship, in different vibrational levels. So, my brethren, you can choose which energy you bind, seeing everything from your light bodies, your Higher Self, or bind yourself to the feelings of the matrix of suffering, and remain trapped in this planetary reality. You are the masters of your lives, and you can decide for love, for understanding, for forgiveness, for resignation and for happiness. All this is within the reach of their consciences, it is enough that they learn to feel, and not allow all this to mix and become a block in their hearts. 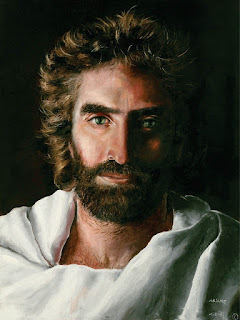 I thank you because I love you, my brethren, and I wish with all my heart that the only surety you have is love and peace, so that you may be secure in your own hearts in the face of all the darkness that is still in this world. Messenger: Thiago Strapasson - June 10, 2017.